All the major sponsors of COP24 were linked to or patrons of the fossil fuel industry, thus hijacking the event. Three coal-based power generation companies, two oil companies, one oil and gas production company, one bank, and one insurance firm (both servicing the fossil fuel industry), made up the eight major sponsors of COP243. Because UNFCCC lacks a “conflict of interest” policy, these firms exploit this loophole and follow a “revolving door” approach of placing individuals linked to the fossil fuel industry at the forefront of climate negotiations. Apart from greenwashing their brands by sponsoring such events, they also organised expert panels at the talks where they pushed for the continued use of fossil fuels4. DeSmog UK, an investigative media outlet, reported that at least 35 delegates from the United States of America (USA), Saudi Arabia, Kuwait, and Russia, have ties with the fossil fuel industry. These delegates are or were employed by the fossil fuel industry or had been lobbying for those companies and organizations. Shell, one of the top 10 fossil fuel companies, had a session to itself to present their future scenario on tackling climate change and its chief climate change adviser, David Hone, claimed credit for inserting a provision relating to identifying carbon markets as one of the major ways by which oil majors and other big polluters could offset their emissions5. COP24 had coal all over it, literally and metaphorically. Poland, the host for the event, gets 80% of its electricity from coal and the Polish government has been clear and steadfast in its love for coal and the reluctance to move away from it. Polish President Andrzej Duda pledged to continue using coal and asserted it did not violate efforts to tackle climate change6. The irony was not lost on anyone that this year's host for a climate conference was candid and unabashed in display of the attitude many G20 nations7 have been covertly displaying- their reluctance to phase out fossil fuels that represent one of the primary causes of climate change. 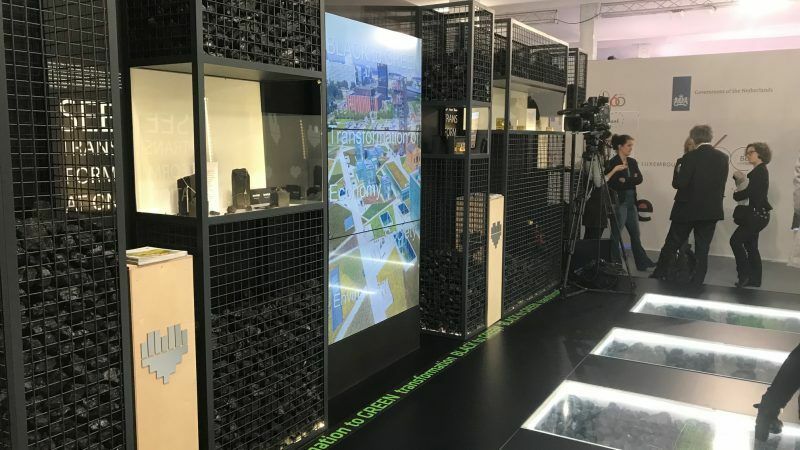 Poland pavilion at COP24 glorifying coal (in metal cages and below transparent glass flooring)8. There was a sense of urgency at the beginning of the COP24, owing to the IPCC special report “Global Warming of 1.5 ℃” giving us only until 2030 to limit global temperature rise to below 1.5℃, warning that failure to do so may lead to severe implications for people, ecosystems and economies on a global scale. However, this did not translate into the group of nations at COP24 welcoming the report it had commissioned, but simply noted it, thanks to resistance shown by USA, Saudi Arabia, Kuwait, and Russia. This attitude of these four countries is being attributed to their deep investments in the fossil fuel industry. USA even went ahead and hosted a side-event extolling virtues of coal and promoting increased extraction, and use of coal and other fossil fuels in what they called the “cleanest way possible”. This event invited widespread criticism and ridicule from protesting members of the civil society organizations. The members on the official USA panel of observers said they felt embarrassed with the official position of their federal government of placing profits over people and planet9. Ministerial Katowice Declaration on Forests for the Climate states the ambition to exploit forests in the fight against climate change. Developed countries, led by the European Union (EU), are rapidly shifting to burning of wood instead of coal. The wording of the declaration potentiates opening up of large scale logging, say observers. Biomass burning releases upto 50% more carbon for the same amount of electricity that is generated from coal burning, besides releasing the same pollutants like coal burning10. Proponents of biomass burning say burning wood is carbon-neutral, as the trees planted in place of those cut for wood burning act as a carbon-sink by absorbing carbon from the atmosphere. However, it takes many years for those saplings to mature into trees and absorb carbon equivalent to that released from burning wood11. Launched by governments of Canada and the United Kingdom (UK) during the last COP meeting (COP23), in Bonn, Germany in November 201712, the PPCA added 6 new members (Israel, Senegal, City of Sydney, City of Melbourne, Scottish Government and Scottish Power) during COP24 taking total member organizations to 80. PPCA members consist of national and sub-national governments, businesses, and organizations unlike only national governments for most other groups/alliances, thus limiting its reach in a global gathering of nations such as COP24. PPCA is promoting biomass burning as an alternative to coal and that is a problem as highlighted in the previous section. PPCA’s language in its mission statement “We are a global alliance of national and sub-national governments, businesses and organisations working to advance the transition away from unabated13 coal power generation”, clearly shows that true intent of moving away from coal is severely lacking and PPCA is using language that is fossil fuel industry friendly. This is also made clear by major focus of the alliance in harnessing technology for carbon capture and storage, and supporting the shift to biomass as an alternative to coal. According to Climate Action Network (CAN), USA challenged the inclusion of human rights reference in a set of guidelines for action. The implication of this move is that projects to tackle climate change, such as large-scale solar/wind/hydro power plants, could exclude the indigenous communities from consultations and drive them out of their territories14. This pattern is well known in cases of thermal power projects in India15. In a related human rights issue concerning workers in the fossil fuel industry, the Silesia Declaration on Solidarity and Just Transition, which was adopted by 50 countries at the Conference, was deemed to be a mirage by the Bankwatch Network (a network of organisations monitoring public finance institutes). Bankwatch’s Just Transition coordinator Alexandru Mustață felt that the declaration calling for a fair deal to coal workers and communities affected by the energy transition was in contradiction to Poland’s official stance on over-reliance on coal for more decades to come16. In a nutshell, COP24 appeared to give a mixed message of fighting climate change and maintaining status quo with respect to coal, oil and gas, while ignoring indigenous communities (asserting their rights to the commons) and message from the civil society organizations (demanding bolder action and ambition) and the scientific community (showing compelling evidence of anthropogenic origin of climate change and global warming, and the perils of ignoring the call to action for all life on our planet). Let us hope the next global key event for climate has some concrete decisions to alter the status quo on fossil fuels. 1The Paris Agreement is an agreement within the UNFCCC dealing with greenhouse gas emissions’ adaptation, mitigation and finance, starting 2020. It’s long term goal is to restrict the increase in global average temperature to below 2℃ above pre-industrial levels and to limit the increase to 1.5℃, as this would significantly reduce the risks and effects of climate change. 13Unabated coal power generation refers to the use of coal without any technologies to substantially reduce its CO2 emissions, such as carbon capture and storage.